The California Horse Racing Board conducted its regular meeting Thursday, January 24, at Santa Anita Park. Vice Chair Madeline Auerbach presided. Commissioners Dennis Alfieri, Fred Maas, Debra Reed-Klages, and Alex Solis also were in attendance. · Vice Chair Auerbach opened the meeting by welcoming Commissioners Reed-Klages and Alfieri to their initial Board meeting. Both were appointed December 17 by former Governor Edmund G. Brown Jr.
· The Board began the regulatory process to establish concussion protocols for the protection of jockeys, other riders, and harness drivers. 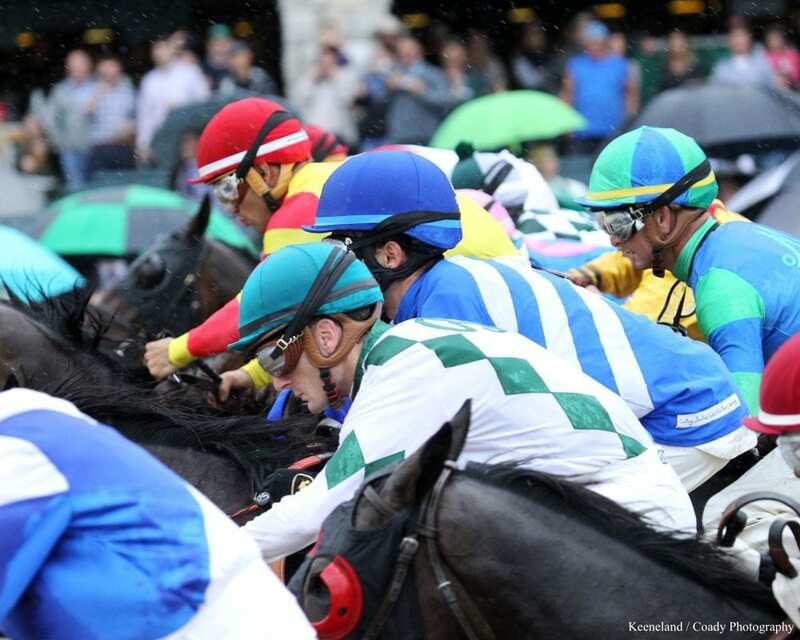 The proposed new rule and amendments requested by the Jockeys' Guild require jockeys and drivers to complete a baseline concussion assessment – an important tool in effectively diagnosing a concussion at a later date – as part of their mandatory annual physical examination. The proposals also detail the steps that must be taken before a jockey can return to ride after being unseated during a race or at any other time within the inclosure. Additionally, license applications submitted by racing associations and fairs must include a medical plan related to the assessment and treatment of concussions. The medical plan will provide the qualifications of onsite physicians and other medical personnel involved in the process. The Board approved the rule and amendments for 45-day public notice, after which they will be reconsidered during a public hearing. · The Board approved clarifying language to a previously approved regulatory amendment prohibiting any horse from racing within five days of receiving an intra-articular injection (cortisone or other intra-articular treatments). The amendment further requires trainers to maintain records of such injections and make them available to examining veterinarians for pre-race and other examinations required by the Board. · The Board waived rules requiring horses to have microchips before they can be entered in races. The Board also approved amendments to those rules to improve their effectiveness. While the amendments go through the regulatory process, the Board will be working with racetracks to finish implanting microchips in all racehorses at California racetracks and training facilities. · The Board approved Santa Anita's request for a mandatory payout of the Rainbow Pick 6 on February 2, provided the carryover exceeds $1 million as expected. This means the carryover will be distributed to those who correctly select the most number of winners in the six races regardless of whether there is a unique ticket. · The Board approved a rule amendment requiring the paymaster of purses to automatically deduct .3 percent (a third of 1 percent) from the share of purses earned by trainers and jockeys in thoroughbred races and to distribute it to the California Retirement Management Account (CARMA) for racehorse aftercare, as is already the case for thoroughbred owners. Owners, jockeys, and trainers can opt out of this requirement by submitting the appropriate paperwork. Vice Chair Auerbach recused herself from this matter due to her ongoing involvement with CARMA. · In recognition of the changing makeup of the Board, Chairman Winner reassigned members of the various standing committees. Executive Director Rick Baedecker announced the following assignments: Pari-Mutuel, ADW, and Simulcast Committee, chair Commissioner Alfieri, member Commissioner Maas; Medication, Safety, and Welfare Committee, chair Vice Chair Auerbach, member Commissioner Solis; Legislative, Legal, and Regulations Committee, chair Commissioner Maas, member Commissioner Alfieri; Jockey and Driver Welfare Committee, chair Commissioner Solis, member Vice Chair Auerbach; Race Dates Committee, chair Chairman Winner, member Commissioner Araceli Ruano; Racing, Breeding, and Stabling Committee, chair Commissioner Reed-Klages, member Commissioner Solis; Budget, Finance and Audit Committee, chair Commissioner Ruano, member Commissioner Reed-Klages, and Stewards Committee, chair Chairman Winner, member Vice Chair Auerbach. · Executive Director Rick Baedeker reported that The Stronach Group (TSG) has completed rebuilding San Luis Rey Training Center in the wake of the 2017 Lilac fire and the improvements include sprinkler systems in all of the barns. He thanked TSG for their commitment in returning the center to normal operations as quickly as possible. · The Board approved the license renewal for the Ocean's Eleven Casino in Oceanside to accept wagers on horse racing. Ocean's Eleven is one of 12 private businesses in the state operating as mini-satellites. · The Board authorized the Del Mar Thoroughbred Club to distribute a total of $123,158 in race day charity proceeds from its 2018 meets to nine beneficiaries. · The Board authorized the Los Angeles Turf Club to distribute a total of $181,672 in race day charity proceeds from its 2018 meets at Santa Anita to 10 beneficiaries. · The Board approved a continuation of the .5 percent (half of 1 percent) distribution of revenue from Advance Deposit Wagering (ADW) to the Southern California Stabling and Vanning Fund. This entry was posted in The Biz and tagged alex solis, California, California Horse Racing Board, CHRB, concussion, concussion protocols, debra reed-klages, dennis alfieri, fred maas, jockey concussion, jockeys' guild, Madeline Auerbach by Press Release. Bookmark the permalink.